A young professional two years removed from earning her master's from a Louisiana university sought out Memorial Hermann Health System in Houston to pursue a career in human resources. For her, the organization's loan repayment program was a major draw. The impetus for the program was the system's retention rate about three years ago: About 75% of first-year employees stayed. The industry average is 83%. In recent years, the organization has expanded rapidly and couldn't properly staff its facilities without improving that metric. The human resources, nursing and operations teams identified tuition reimbursement, student loan assistance and nurse residency program enhancements as ways to draw talent. They also revamped pay and benefit structures to include a 403(b) match, paid-time-off accrual and out-of-pocket medical cost coverage. Part of the plan included Memorial Hermann's Retention Engine program, where managers conduct periodic interviews throughout an employee's first year to gauge how the new hire is adjusting and what improvements can be made. It also provides a step-by-step outline for managers to evaluate and interview job candidates, including a guide for job shadowing, an onboarding questionnaire to understand personal goals and preferences, and recommendations on who the employee should meet with on the first day. Retention rates are now included in management's annual bonus package, which helped everyone buy in. Over three years, Memorial Hermann has retained 90% of its clinical staff, saving about $54 million in turnover costs. First-year turnover dropped to 14% after the program was fully implemented in 2016. “As we get more mature in the human resources space about being able to quantify recruitment and retention efforts, it becomes more obvious it is well worth the spend,” Knowles said, adding that the program as a whole cost about $18 million. The healthcare industry has been trying to cope with high turnover along with simultaneous shortages among physicians, nurses and home health aides. This has driven labor costs—already providers' biggest financial burden—even higher. Turnover can also stunt productivity, hurt the patient experience and jeopardize outcomes. Providers are trying to stabilize their workforces through offering student debt repayment, development opportunities supported by tuition cost-sharing, employee stock ownership plans, partnerships with academic institutions to keep the pipeline flowing, employee appreciation programs, flexible schedules and more autonomy. More health systems are adopting loan reimbursement and tuition-assistance programs, said Christopher Duchesne, group vice president of client services at EdAssist, a Bright Horizons division that helped Memorial Hermann with its retention program. Loan reimbursement can be a compelling offering for employees who want to grow beyond their role or try a different field, he said. Almost every system out there is facing a huge retention problem, said Alan Rolnick, CEO of Employee Engagement and Retention Advisors. It's not just the cost of a replacement but the loss of institutional knowledge, he said. Most healthcare employees are micromanaged, and they typically have no idea of the strategic direction of the organization or what their role is, Rolnick said. This dynamic could discourage millennials and Gen Xers who make up a large portion of today's workforce and who place premiums on being fulfilled by their job and taking pride in their companies' missions. There is a shortage of about 14,000 primary-care physicians that is acutely felt in rural areas, according to HHS' Health Resources and Services Administration. Many aspiring doctors choose higher-paying specialties to pay off their debt quicker. If they do choose primary care, they often don't want to live in rural areas. The physician data company SK&A estimates that the annual physician relocation rate is 12%. About half of the 17,000 physicians surveyed in a 2016 Merritt Hawkins report said that morale is negative, primarily due to regulatory and paperwork burdens and loss of clinical autonomy. More physicians are in many cases joining health systems in part because of the former, despite less of the latter. “That day when their autonomy is questioned, and the insurance company says, 'You can't do this for the patient,' that's when doctors say it's time for something else,” said Kurt Mosley, vice president of strategic alliances for Merritt Hawkins and Staff Care, companies owned by the staffing agency AMN Healthcare. Financial bonuses may also be misplaced. Some hospitals reward high citizenship scores related to community involvement, which can be oddly measured by attending hospital-coordinated meetings on the topic, Mosley said. Providers also reward high patient-satisfaction scores, although patients who are happy aren't necessarily healthier, he said. It hurts when doctors leave. According to Merritt Hawkins' 2016 physician retention report, each physician generates an average of $1.56 million in revenue every year for his or her affiliated hospital related to patient care, goods and services purchased and supporting jobs. Gastroenterologists, for instance, generate an average of $1.42 million in net annual revenue for their hospitals. One month without that specialist translates to a $118,556 loss, but it's more than just a financial loss. Bringing in scribes to navigate EHRs or an insurance specialist to grapple with payers can free up doctors to allow them to spend more with patients. It makes a major difference, Mosley said. Some systems have liaisons that strictly deal with physician burnout, he said. Student loan debt is crushing. More providers are helping employees pay off their debt with contributions often ranging from $5,000 to $30,000. Helping employees hone their skills or move to a different field through higher education can keep them engaged and happy, particularly members of younger generations who value upward mobility and flexibility. Performance reviews are outdated. Scheduling less-formal interviews in three-month increments with first-year employees can help gauge employee satisfaction and identify weak points in the onboarding process. Hiring a scribe to help physicians navigate electronic health record systems or perhaps another supply chain associate to keep nurses at the bedside could ease the burden on overwhelmed employees. More fluid work hours could help single parents manage childcare during their shifts. Providers continue to consolidate, which often breeds uncertainty that can ultimately lead to burnout and turnover. Employees don't know if their job or boss will change, or if they will have a job at all. Fewer competitors may be a disservice to both health systems and workers, she said. “If there are no other places to go in a certain market, it doesn't attract the talent that systems really need and it keeps competitive wages and benefit structures out of the game,” Doherty said. Although executive pay continues to rise, median earnings for all full-time healthcare workers fell on average by 2.4%, according to a recent report from the Center for Economic Policy and Research, a left-leaning think tank. Staffing issues, in fact, may lead to more mergers and acquisitions, said Thomas Fahey, a partner at the law firm Nixon Peabody. For example, state-of-the-art technology is important to physicians, but often cost-prohibitive for independent hospitals, he said. “The momentum is there for mergers and acquisitions of independent hospitals,” Fahey said. Healthcare providers hope robust benefit packages cultivate a healthy workplace environment that can stave off consolidation. Long-term care provider Acuity Healthcare is the country's only employee-owned hospital company, according to CEO Ed Cooper. Acuity, which manages three long-term acute-care hospitals in New Jersey, Ohio and West Virginia, started its employee stock ownership program in 2014. Job seekers say that the program is enticing, and Acuity's employees stay with the company longer. As long as the company improves, the value of the shares they own go up. If the programs are done well, they can exceed earnings of 401(k)s by 15% to 20%, Cooper said. This leads employees to offer unsolicited suggestions even if they don't fall under their responsibilities, Cooper added. In addition to new benefit packages, providers are establishing their own medical schools or bolstering relationships with colleges and universities. Kaiser Permanente, for instance, is building an independent medical school while Providence St. Joseph Health partnered with the University of Great Falls in Montana. Health systems can then customize curricula to prepare students for their organization and insulate themselves from labor shortages. 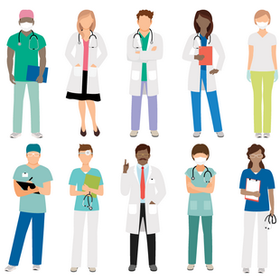 Although more registered nurses and nurse practitioners are joining the workforce, the shortage is expected to persist through 2025, according to the Health Resources and Services Administration. An aging population and a rise in chronic disease coupled with the greater number of insured are driving demand. An older nursing workforce, competition from staffing and traveler agencies, and a lack of training programs and nursing instructors constrain the supply. Since beginning its nurse residency program in mid-2015, Memorial Hermann has added 1,800 new graduates to the program, in which participants make two-year commitments to the organization. Nurse retention also increased by nearly 19% over three years. Spending time with new leaders and creating a centralized orientation process were key. Every hospital fended for itself without a uniform protocol, Knowles said. “There was some mentoring and some accountability measures that they needed because there was some fragmented execution,” she said. Anytime a first-year employee left the company for anything other than moving from the area, Memorial Hermann's CEO would personally meet with them, Knowles added. Quantifying how much a vacancy costs per day helped get everyone on board, she said. The average cost of turnover for a bedside nurse ranges from $37,700 to $58,400, resulting in the average hospital losing $5.2 million to $8.1 million a year, according to a 2016 report from Nursing Solutions. Each percentage point change in RN turnover could cost or save the average hospital $373,200. “The numbers were astronomical,” Knowles said. Parkview Health, a nine-hospital system based in Fort Wayne, Ind., implemented a similar engagement toolkit across its system. It includes periodic check-ins extending beyond 90 days, solutions for common answers to concerns about retention questions and suggestions on how to adapt the process for each of its more than 10,000 employees. Some providers have eased certain requirements for nurses, like a bachelor's in nursing, to mitigate shortages. But the healthcare industry may be focusing too much on retention metrics, said Richard Scheffler, a University of California at Berkeley professor. “They might be able to do more with less if they are teamed up the right way and are more productive,” he said. Healthcare organizations have a wealth of competing priorities. From hitting financial targets to meeting compliance standards, employee retention traditionally took a back seat. But that is changing, Buffkin/Baker's Doherty said. There is a direct correlation between turnover and readmission rates, as well as a number of other soft and hard costs, she said. All of these financial implications have elevated employee engagement to the top of the priority list, Doherty said. “An engaged workforce is everything,” she said.